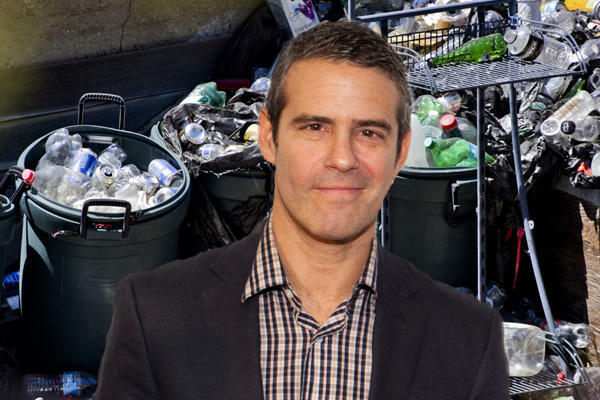 Andy Cohen’s Instagram feed has been filled with trash lately, specifically the kind his neighbors at 21 and 19 Bank Street throw out. Cohen’s been giving his 2.5 million Instagram followers regular updates on the state of the overflowing trash bins, which other neighbors say are shared by the two properties, and complaining about the blight of the “junkyard” on his West Village neighborhood during dog walks, as the New York Post reports. “Something’s going on, it’s too sad. And it’s too sad for the neighborhood. This is a beautiful street,” the “Watch What Happens Live” host said in another post.